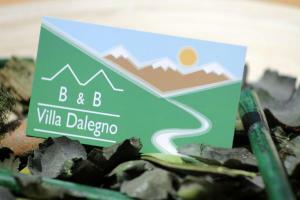 Albergo Eden is located in Villa Dalegno, 2.5 km from Ponte di Legno town centre. It offers classic-style accommodation, a traditional restaurant and a sun terrace. Wi-Fi is free in public areas. Allergy-free rooms at the Eden feature TV, wooden floors and a private bathroom, complete with a bathrobe, hairdryer and toiletries. Some rooms have a balcony with mountain views. A sweet and savoury breakfast is provided daily, with cold cuts, cheese, cakes and more. The restaurant serves local specialities and a snack bar is also available. The property is located between the Adamello Brenta Nature Park and the Stelvio National Park, a short drive from the Tonale Ski Area. Folgarida and Madonna di Campiglio are less than a 1-hour drive away. When would you like to stay at Albergo Eden ? This classic-style room features TV, wooden floors and a private bathroom. It offers mountain views.Please specify bed preference when booking. Offering a seating area with sofa, this room comes with parquet floors, a TV and 1 private bathroom with free toiletries and a hairdryer.Please specify bed preference when booking. This triple room has a TV and a private external bathroom. This family room consists of 2 separate bedrooms and has a balcony, bathrobe and sofa. Each day we'll check prices and send you an email for your selected dates at Albergo Eden. If you don't have specific dates but would like to check prices for say next weekend or say next month we can check the price too. Click to write a review and share your experience of Albergo Eden with other travellers.